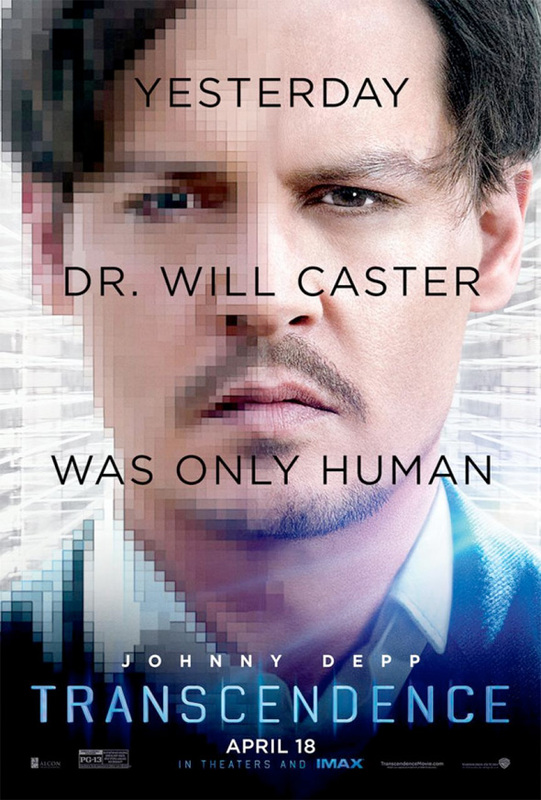 This spring, Johnny Depp will become one with a computer in Transcendence, and the second trailer for the directorial debut from cinematographer Wally Pfister certainly showed off the scale of this technological thriller. The film isn't too far away from hitting theaters, and now the hype machine is getting a little more generic and safe in trying to get audiences interested. A new poster has just arrived and it makes full use of Depp's handsome face, but almost as if the poster was accessed by dial-up, half of the image is pixelated. I still think this film feels like a 90s thriller with contemporary technology, but we'll see. Loving everything about this poster and looking forward to seeing this movie. Pfister is a fan of the Soylent Green-era sci-fi, hence the look. I want this to be amazing the amazing spectacle we all hope it to be. Get a bad feeling from this movie, mostly due to Depps involvement. Shut up please, it looks great and he looks great in the role. You sure know how to react to differing opinions. Name one thing he has done since Pirates that was any good. Rango and Sweeny Todd. Other than that a bunch of flops and the Pirates movies. The rum diary and Public Enemies was great movies ! Wouldn't Call a 50% and 70%on RT, respectively "great movies". The rum diary and public enemies were great ! I like how his lips & eyes randomly have slightly smaller pixels to make sure you get the full DeppEffect™.